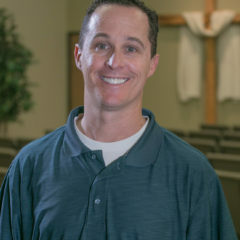 Mark attended Calvary Chapel Fort Lauderdale Florida from 1996 – 2003 before he and his wife Lindsay relocated to Rapid City. They have been attending Calvary Chapel Community church since 2004. In 2005 Mark joined the worship team and started taking on more of a ministerial role at the church. In 2008 Mark was called to be an Elder and has been a part of the team ever since. He has shown you, O man, what is good; And what does the LORD require of you? But to do justly, To love mercy, And to walk Humbly with your God.